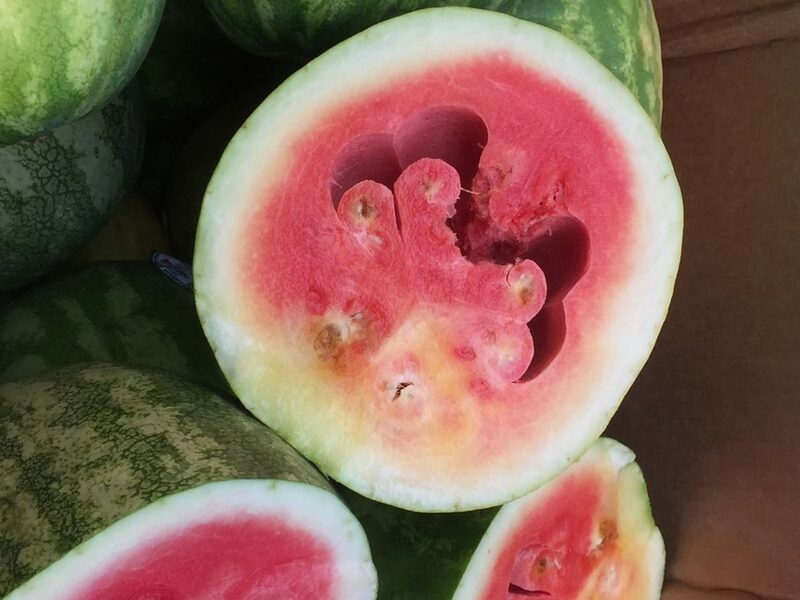 A lot of watermelon growers have had to deal with hollow heart this season. It’s not known for certain what causes hollow heart, but research is pointing toward pollination deficiency. Hollow heart is a separation of the cells in the flesh of the fruit, which causes a fissure to form. A fissure can form from stem to blossom (length ways) or it can form across the width of the fruit. The cells won’t grow, so a gap will form. As the melon expands, most of the time, that gap gets bigger. This is a problem because a melon with hollow heart cannot be sold in the market. Josh Freeman, associate professor of horticultural sciences at the University of Florida Institute of Food and Agricultural Sciences North Florida Research and Education Center in Quincy, has studied hollow heart. Watermelons are only pollinated over a two- to three-week period. It’s about 32 to 35 days from bloom to a harvestable watermelon. Many times, if growers have hollow heart, they can look back to the dates the bees would have been pollinating to see what the weather conditions were, says Freeman. If there were a few rainy days during that time period, then it could be a pollination issue as the bees can’t work in the rain. It takes multiple visits from a bee to the female flower to get adequate pollination, especially with seedless watermelons. With seedless watermelons, a bee has to visit a female flower well over 20 times. 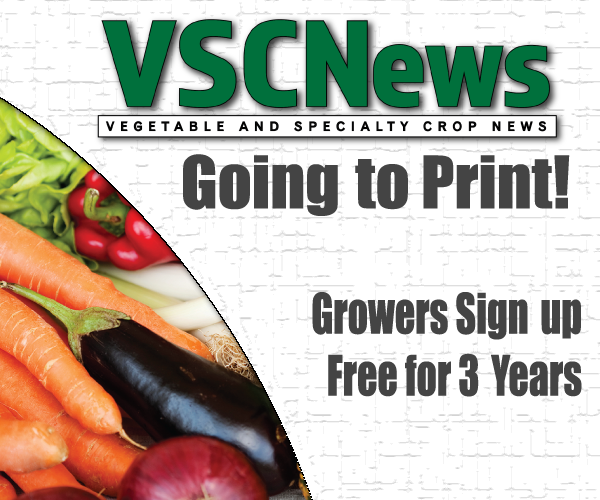 This season, the Southeast had unexpectedly high rain conditions, which led to some growers having more hollow heart than usual. According to Freeman, it’s critical to have a pollen source available when plants start to bloom. 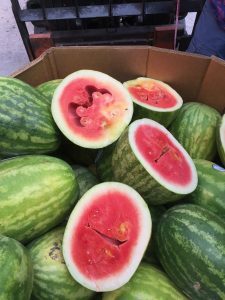 Growers could use a standard seeded watermelon for pollination or they can use new varieties that have been bred just to be a pollen source or a source of male flowers. “It’s critical that you have bees there when flowering starts, and an adequate number of hives,” he says.